The Foundation “Las Edades del Hombre” (“the Ages of Humankind”) is a non- profit association devoted to the cultural promotion of the religious heritage in Castilla – Leon. Since its creation, the Foundation is in charge of preservation, development, protection and expansion of cultural and artistic religious heritage, which in Castilla- Leon means 80% of the cultural heritage and almost 50% of the whole religious heritage in Spain. The title of 2016 exhibition is “Aqva” (water in Latin), which would be the central element of the show that will be held in Toro from April to November 2016. The reason because the city of Toro is chosen as the headquarters for 2016 is because the “Aqva” (water) of the river Duero flows around the city and also because of its important artistic, cultural and religious history, with the great building of “La Colegiata” church, as well as other churches as one of the greatest expression of the Romanesque religious heritage in the region of Castilla- Leon, and in Spain. 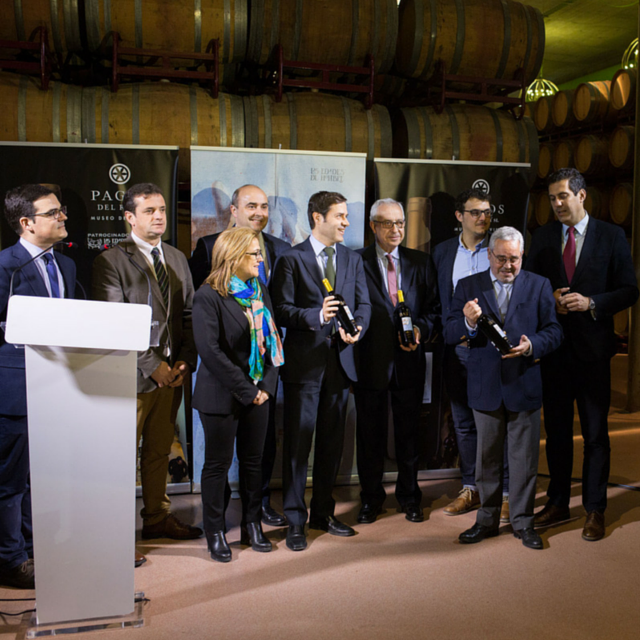 Moreover, the winery Pagos del Rey will make the official wine of the 21st edition of the exhibition “Las Edades del Hombre” 2016 (Aqva). Bajoz, the leading off trade wine brand from DO Toro in Spain, made by Pagos del Rey, has just launched a special limited edition devoted to this exhibition. This special edition of Bajoz is made with Tinta de Toro grapes from more than 100 year- old vineyards, which are hand- harvested and whose bunches, are selected in order to obtain the best quality. The climate and terroir also provide a perfect maturity and quality. The result is a clean and brilliant ruby wine with purple reflections, rich of aromas of red berries and new oak, as well as spices like cinnamon or glove; with complex mineral notes and black berries. Rich flavours of vanilla, caramel, spices and notes of cacao, truffles and balsamic. Well integrated, concentrated and structured, very elegant and persistent taste.